Welcome to the SAIL Website. We invite you to read these terms and conditions for the use of the SAIL Website carefully before consulting this Website. By accessing and using the SAIL Website, you confirm your acceptance of these terms and conditions of use and your undertaking to comply with them. You agree that SAIL may change the terms and conditions for use of this Website without notice. You agree, during your visits to the SAIL Website, to regularly consult these terms and conditions of use so that you are informed of their content. By continuing to use this Website following an amendment to the terms and conditions of use, you confirm your agreement to comply with the amended terms and conditions. If you refuse to comply with these terms and conditions of use, we would ask that you leave the SAIL Website. All access and use of this Website must comply with the laws and regulations of the Province of Québec, as well as the applicable laws of Canada, and the laws of your province of residence. You agree that any breach or violation of these terms and conditions of use will give rise to an obligation on your part to indemnify SAIL for any direct, indirect or consequential damages, including any business interruption, lost profits, loss of software, data or program, as well as the legal costs and all related expenses, caused by the said breach or violation, or resulting therefrom. The parties agree that any dispute concerning these terms and conditions or any order placed on this Website is governed by the laws of Québec and the parties agree to submit any such dispute to the exclusive jurisdiction of the courts of the Province of Québec. SAIL uses its best efforts to ensure that the information appearing on the pages of this Website are up-to-date and complete and contains no inaccuracies or errors. Despite all of our efforts, some errors may occur and SAIL will do everything possible to ensure that these errors are brought to your attention and corrected as soon as possible. The SAIL trademark, the figurative trademarks related to SAIL, and all the logos and slogans associated therewith and which appear in the contents of this Website are registered trademarks which are the exclusive property of SAIL PLEIN AIR INC. or its subsidiaries, affiliates or business partners, including the suppliers and manufacturers of the products offered for sale by SAIL. These trademarks are protected under the applicable trademark legislation and regulations in Canada, and throughout the world. All user licenses for all the other trademarks belonging to other entities which appear on this Website, including the suppliers and manufacturers of products offered by SAIL are duly valid.  The trademarks and figurative trademarks appearing in the contents of this Website that do not belong to SAIL are held by their respective owners. SAIL also holds all of the intellectual property rights, whether directly or through licenses granted by their respective owners, authorizing it to use the contents appearing on this Website, including the trademarks belonging to third parties. This also includes all texts, titles, slogans, diagrams, tables, images, videograms, photographs, portraits, descriptions, symbols, drawings and other artistic works, as well as all the arrangements thereof appearing in the contents of this Website. You may print the pages of this Website for your private and non-commercial use at home provided that the notes on copyright and the materials protected by intellectual property rights remain unchanged, and provided that these terms and conditions of use are complied with, including the laws governing intellectual property rights. You are not authorized to reproduce, print, store, re-edit, change, download, sell or otherwise copy the contents of this Website or any element thereof, whether in whole or in part, for any other reason or for purposes of publication, dissemination or sale, on any medium or in any format whatsoever, whether already invented or invented in the future, without obtaining prior written authorization from SAIL. No material, excerpt, quotation, passage or text in this Website shall be construed as constituting or creating a license or any right of use or reproduction of any element whatsoever of this Website. Be advised that SAIL will fully enforce its intellectual property rights. It is prohibited at all times to change or modify the trademarks, logos or slogans, and the texts, titles, slogans, diagrams, tables, images, photographs, portraits, descriptions, symbols, drawings or other artistic works appearing on this Website. The contents of this Website are protected by copyright, trademark rights, and other applicable intellectual property rights. All rights are reserved. We invite you to click on the hyperlinks appearing on this Website that will then give you access to various other areas of this Website. The function of these hyperlinks is to direct you to relevant information about the products offered on this Website, and some of their features. Some hyperlinks appearing on this Website will send you to one or more external websites belonging to other entities than SAIL. These hyperlinks are provided to you as informational references only. SAIL has no control over these external websites, has no responsibility whatsoever for their content, and in no way supports the information provided or representations made thereon. The presence of hyperlinks in the contents of this Website leading to external websites shall not under any circumstances be construed as an endorsement by SAIL of the information contained in those external websites, or as indicating that there is an association or joint venture between SAIL and the company operating or owning any such external website. SAIL makes no representations whatsoever that such external websites will be safe or virus-free and expressly disclaims any liability in that regard. SAIL disclaims any liability for any direct, indirect or consequential damages, including any business interruption, lost profits, loss of software, data or programs, including legal costs and all the related expenses, caused as a result of your access to an external website via a hyperlink contained on this Website. As a user of this Website, you acknowledge that the use or mere accessing of this Website may entail potential risks of contracting a computer virus on your computer and/or the peripheral devices connected to it. SAIL shall under no circumstances be liable in any manner whatsoever for any damages or losses as a result of the existence or transmission of a computer virus. Any in-store contests that you enter via this Website or via a social media platform administered by SAIL are governed by these terms and conditions of use, by the contest rules, and by the applicable laws. By entering any such contest, you agree to be bound by these terms and conditions of use, by the contest rules and by the applicable laws. SAIL assumes no liability for any damages or injury, loss or claim, including any business interruption, lost profits, loss of software, data or programs, including legal costs and all the related expenses, arising directly or indirectly from (a) access to this Website or the use thereof, or inability to access it, (b) the purchase or use of goods or services offered by SAIL. SAIL may not under any circumstances be held liable for any damages whatsoever caused to your computer, the data contained thereon, or its peripheral devices. SAIL disclaims all such liability, including any liability for any delays or any failure in data transmission. To purchase any of the items displayed on the SAIL Website, including gift cards, you will at various times be required to enter certain information, including, without limitation, information on the credit card used in paying for the order and the related invoicing. By supplying that information, you are warranting that it is both correct and current. By making a purchase, you are confirming that you agree to pay all charges incurred by you or the users of your credit card pertaining to the order placed. SAIL reserves the right to refuse an order for any reason whatsoever. Orders placed on the SAIL Website are subject to a process that compares the information that the purchaser provides on the Website with information about the purchaser provided by his or her financial institution. In the event of a discrepancy, your order may be delayed until the information can be corrected. All prices indicated for products offered on the SAIL Website are in Canadian dollars. SAIL will use its best efforts to provide you with the best information possible on the in-store and online availability of products appearing on this Website. However, some products appearing on the Website may not be available given that SAIL inventories are updated no more than once a day. Thus, if a product is not available, SAIL will advise you by e-mail and your order for that product will be automatically cancelled. SAIL may also keep your order active by establishing a new delivery date according to product availability. We recommend that you verify the availability of the products you wish to buy before coming to a store. Quantities may be limited for some products or promotions. Please do not hesitate to contact us before visiting a SAIL store. Please also note that SAIL does not do inter-store transfers of products. Prices posted on this Website and in SAIL stores are subject to change without notice. Discounts on selected items in the catalogue or otherwise identified are effective while supplies last. SAIL reserves the right to correct any errors in prices indicated on this Website or in our stores. SAIL will use its best efforts to draw your attention to pricing errors as quickly as possible via this Website or in the store. In the case of such an error, SAIL may, in its discretion, refuse a related order or purchase. Prices indicated on this Website may differ from in-store prices, and in-store prices may differ between individual stores. Except for products specially marked as a "final sale" and except for the products referred to below, any product purchased at a SAIL store or on this Website may be returned for a refund or an exchange (subject to the following terms) within THIRTY (30) DAYS of the purchase. Products purchased at a SAIL store or on the SAIL Website may be returned in person to any of our SAIL stores. Products purchased online via our Website may also be returned by reshipment, in which case they must be returned to the Beloeil SAIL store. Products being returned must not have been used or worn and must be returned in good condition in their original packaging, together with proof of purchase. In the case of a return by reshipment, the return package must indicate your online account number appearing on your receipt. Please note that a product purchased online cannot be exchanged at a store, subject however to the product being available at that particular store, failing which, the product can otherwise only be returned and refunded. Any product sold at a discount of FORTY PERCENT (40%) or more is deemed to be a final sale. There are no refunds or exchanges for gift cards, firearms, ammunition, crossbows, knives, telescopes, electronic appliances, software, underwear, swimsuits, stockings and socks, cayenne pepper, saline, food products and products marked as a "final sale". You will not be charged additional costs for making an in-store return. However, you must pay the return shipping costs for a product returned to our SAIL Beloeil store. You will be refunded those costs if the product ordered online was damaged during delivery. To be refunded your return shipping costs, you must contact SAIL by telephone or by e-mail at the number and address indicated in the last paragraph of these terms and conditions. Before return shipping a product purchased on line, you must contact SAIL by e-mail or by telephone to obtain return authorization. We are not responsible for orders that cannot be delivered or that are not received because you provided the wrong address for the recipient. Please make sure that the recipient's address is correct and contact Customer Service if you believe that the recipient did not receive the order. An order made on the SAIL Website cannot be cancelled except for reasons specifically provided for by law. Other than the warranties granted by the manufacturers of products offered for sale on this Website, which are subject to the terms and conditions stated therein, as well as the statutory warranties, SAIL makes no representations of any kind whatsoever and provides no warranties, whether express or implied, of merchantability, quality, fitness for a particular purpose, or concerning the accuracy of the information provided on a product. Some products offered in SAIL stores or on this Website have inherent safety risks if they are not properly handled or used. We recommend that you exercise care and read all safety instructions carefully that may exist for using the product offered in pursuing your leisure activities. If any of these terms and conditions are held invalid or unenforceable, all other terms and conditions remain valid and enforceable in accordance with their terms. It is the intention of the parties that the provisions of these terms and conditions shall be enforced to the fullest extent permissible under the applicable law. Therefore, the parties agree that should any provision of these terms and conditions be declared unenforceable, it shall be deemed amended to the extent necessary to render it enforceable in accordance with the intention of the parties. The non-performance of a provision hereof does not constitute a waiver of the right to subsequently enforce that provision. This agreement ensures to the benefit of, and is binding to the parties and their successors and assigns. If SAIL's performance of any of its obligations stipulated herein or in the order confirmation is delayed due to an event of force majeure or for any other reason beyond SAIL's control, the date of performance shall then be extended by a period equal to the delay. To contact Customer Service for either SAIL store, click on OUR STORES for the contact information and store hours. You can also submit questions and/or comments to us by calling us at 1 866 785-SAIL (1.866.785.7245), by sending an e-mail to [email protected], or by clicking on CONTACT US. SAIL's Website and its contents are the exclusive property of SAIL PLEIN AIR INC./ SAIL OUTDOORS INC. ("SAIL"). SAIL's head office is located at 2850 Jacques-Bureau Avenue, in Laval, Québec, H7P 0B7.